Ingredients: Theobroma grandiflorum (Cupuacu) Butter, Astrocaryum Murumuru Butter, Mangifera indica (Mango) Seed Butter, Shorea stenoptera (Illipe) Seed Butter, Organic Butyrospermum Parkii (Shea Butter) Fruit , Organic Olea Europaea (Olive) Oil, Cocos Nucifera (Coconut) Oil, Ricinus Communis (Castor) Seed Oil, Simmondsia Chinensis (Jojoba) Seed Oil, Organic Pouteria (sapote oil) Sapota, and Herbal extract blend (horsetail, nettles, and burdock root). Applied on freshly washed and conditioned hair. The cupuacu butter is divine. It is really rich, thick, and moisturizing. A little bit of the product certainly goes a long way; the sample lasted me much longer than I thought it would. The lemongrass blend smell (while I like it) may be a bit strong for some, so I suggest trying the unscented version of this butter. 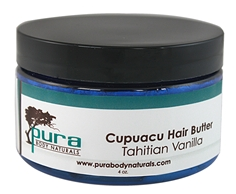 RATING: Overall, I give the Pura Naturals Cupuacu Hair Butter 4.5 out of 5 stars. Why 4.5 out of 5 stars? 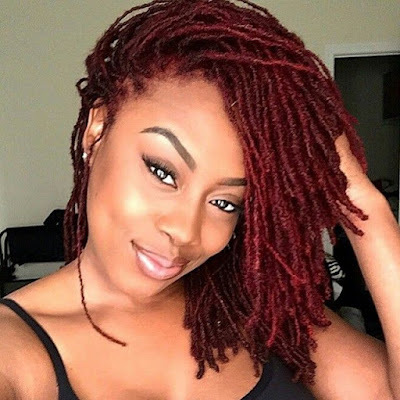 Do you use the product twist your hair? @Anonymous: I gave it 4.5 stars because it's a little expensive. Otherwise, it's a great product. Yes, I used it to twist my hair.